Would you ask them questions like me? Like where you be at? Or would they still apply? If I played you like a toy? The post Sometimes I wish I could act like a boy appeared first on LADYBLANCE. The Avenue opens for October. Its official, Fall is here! October, fall is official here and The Avenue’s creators have been busy getting ready for the cool weather. Come on down and stroll the streets with us and check us out! Travel. As much as you can. As far as you can. As longer as you can. Life’s not meant to be lived in one place. Beautiful walnut cabinet with burl veneer door and drawers, polished brass hardware and inlays, and functioning lights, door, and drawers. It includes a full set of bar accessories: bottles of scotch, bourbon, and gin, a full ice bucket, a set of six glasses and a single glass. All accessories low-prim items. 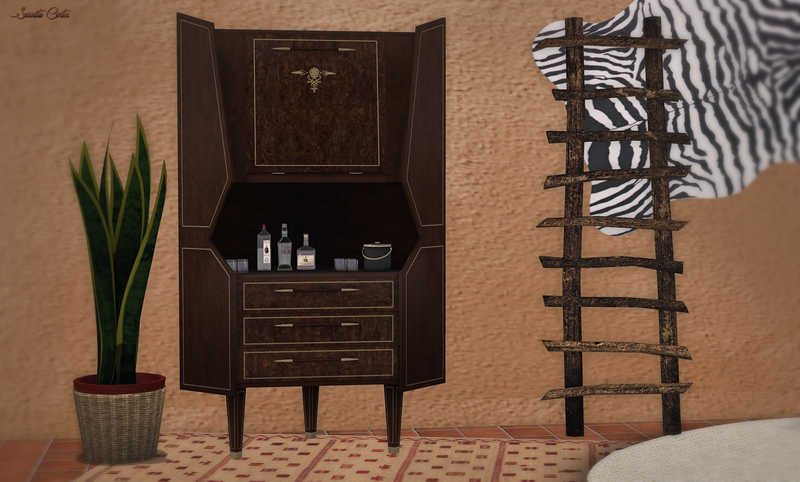 The corner bar cabinet (yes I know, I didnt put it in the corner, I liked it there where I put it ) is configured for optimal level of detail, yet only requires 6 prims of land impact. The functioning scripts operate the door, drawers, and light. The light will automatically turn on when the door is opened and off when it is closed; it may also be manually turned on and off by clicking on the light fixture itself. e for books and relics, a bulletin board in the lid to tack up local maps or field notes, and a supple leather writing surface for your letters home. The desk is only 6 prims LI, neither animated nor scripted. For sitting animations, you can get the Salacity Safari Stool. A small kit of accessories comes with the Safari Desk to fully prepare you for your trip. All accessories are very low-prim items. 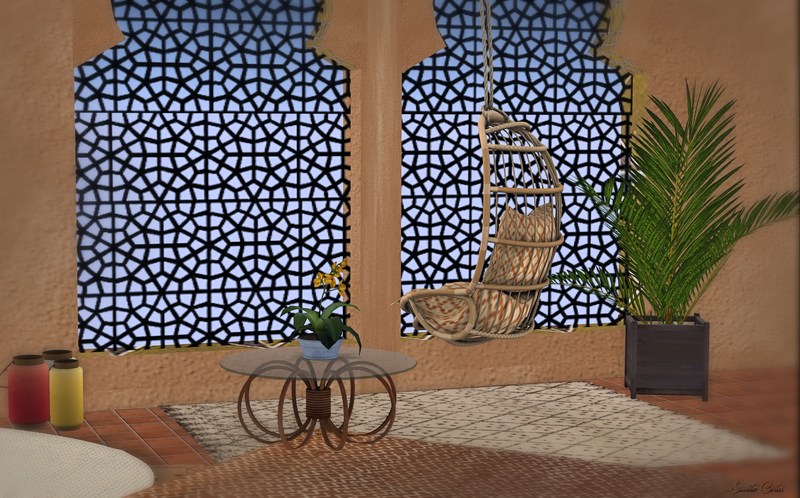 Casa de Begonia of the Turtle Cay Set. for visiting and reading my blog. It is much appreciated. Better a little which is well done, than a great deal imperfectly.